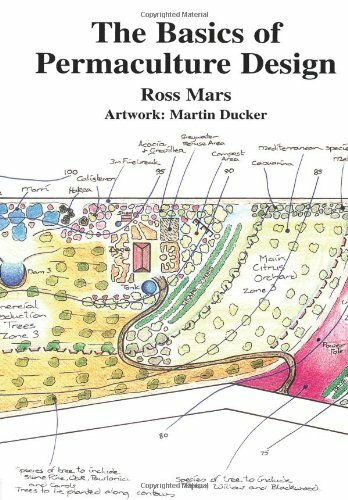 The Basics of Permaculture Design, first published in Australia in 1996, is an excellent introduction to the principles of permaculture, design processes, and the tools needed for designing sustainable gardens, farms, and larger communities. Packed with useful tips, clear illustrations, and a wealth of experience, it guides you through designs for gardens, urban and rural properties, water harvesting systems, animal systems, permaculture in small spaces like balconies and patios, farms, schools, and ecovillages. This is both a do-ityourself guide for the enthusiast and a useful reference for permaculture designers. Great one stop shop for a broad overview of Permaculture This was the ideal introduction I needed to talk some what intelligently about the back-in-vogue topic of permaculture. The book is written very well as a quick reference guide particularly considering the breadth of the subject matter.